Happy Thursday, Friends! Recently my husband and I decided to go Gluten Free for dietary and health reasons. If you’ve ever tried gluten free breads, they are not all created equally! Some taste like cardboard. But we found one we both like! As I said, a lot of the gluten free products are without flavor. I guess when you take out an ingredient, you must replace it with something else and that’s not always a good thing. Or a good tasting thing. 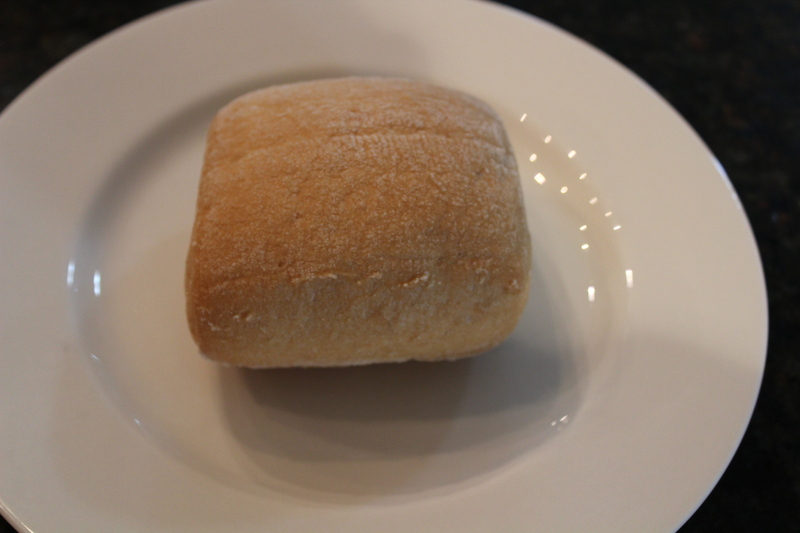 So, we’ve experimented and came up with a Gluten Free Ciabatta Roll that we both love! The brand is Schar and can be found on the gluten free aisle at the local grocery store. They are pricey in my opinion though. For a pack of 4 rolls it’s $5.49 plus tax. So, that’s almost $1.40 per roll! Each roll contains 120 calories and 25 grams of carbohydrates. Again, you take away something and gain something like carbs! The rolls are gluten and wheat free, non-GMO, and lactose and preservative free. So, we like to keep them in the freezer until we are ready to use them and in the refrigerator in a zip lock bag after they are opened. Because they are expensive, we don’t want to risk them going bad before we use them! We recently discovered a multigrain version that is even more tasty. These ciabatta rolls contain sunflower seeds, and flax seeds which gives the rolls a nice texture. And because the rolls are smaller than your typical slices of bread, one sandwich fills you up nicely without feeling stuffed! My husband and I like to split the rolls in half and lightly toast them in the toaster oven, then make our sandwiches. Our favorite is smoked turkey, muenster cheese, lettuce and tomato. The other day my husband split one roll in half and spread butter and garlic on top. He lightly toasted it and had it with his spaghetti. He declared it delicious! So, if you have gluten allergies or want to eat a bit healthier, give these ciabatta rolls a try! I must admit the same brand of bread is not quite as tasty. It’s a bit chewy even when toasted. Do you have a favorite brand of gluten free bread or rolls you’d recommend? If so, please share! Got Junk? What to do with it? What size Chandelier for your room? Postage Stamps for Weddings, Etc.